With over 280 dance studios in 23 countries, Arthur Murray Dance Studios are the world’s leading dance instruction organization, which continues to teach the world to dance since 1912! Experience the same high quality that you would expect from this brand at its Gaithersburg franchise in Maryland. 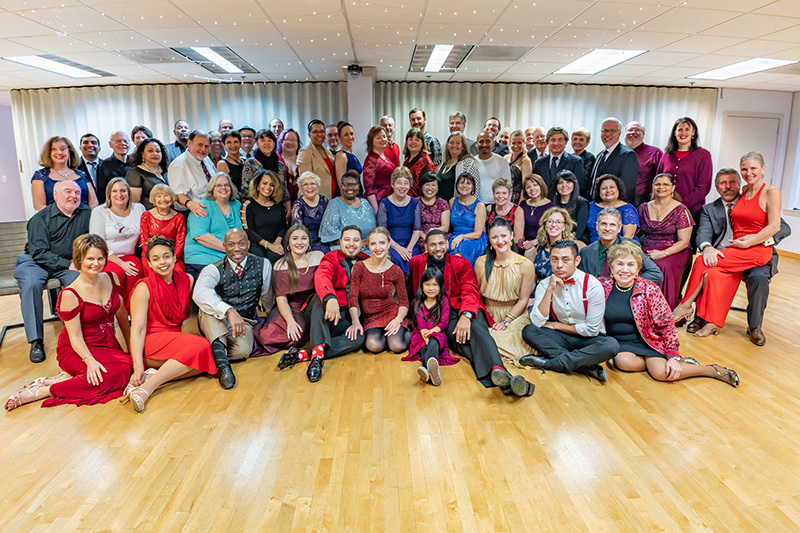 We, at Arthur Murray Dance Center of Gaithersburg, offer private dancing lessons, and group dance classes for both adults and youths. Our highly trained dance instructors utilize the Arthur Murray Method to teach you more than just dance steps. Our dance lessons will help you acquire the skills needed to get you dancing as soon as possible, so that you don't miss out on any more social opportunities! We offer classes in various styles of dancing including rhythm and Latin dance, smooth and standard dance, country western dance and a range of special dances. Call us today! Learning to dance for your wedding is a special gift that you and your spouse-to-be can give to each other. We can help prepare you for your big day. Ours is a great place to learn to dance whether it is ballroom dance lessons or Latin dance lessons. take advantage of our new student offers!